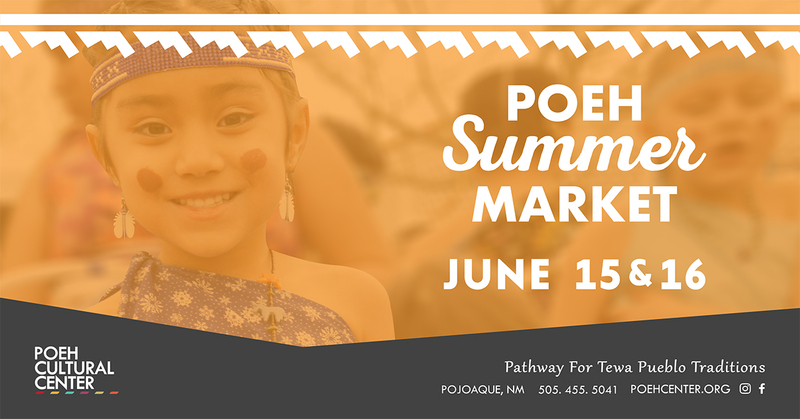 The Poeh Summer Market on June 15 & 16, 2019 located in Pojoaque, New Mexico. This years market will feature some of the best Native artists and performers in Northern New Mexico. Our artists showcase traditional and contemporary Native arts, ranging from jewelry to pottery, t-shirts to beadwork. 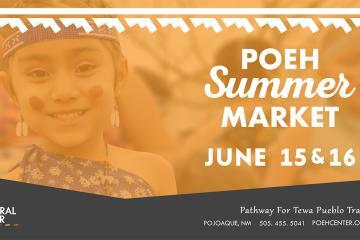 More than an art market, the Poeh Summer Market is located on Pueblo tribal lands and within the Poeh Cultural Center facility which houses the Pueblo Arts Studios, Poeh Museum and is home to the Roxanne Swentzell Tower Gallery. Grab your father's day gift the day before and bring him along for a family outing the next day. Saturday morning will begin with the 21st Annual Butterfly Run at 7am. You won't want to miss out on this free Father's Day weekend event! For more information visit www.poehcenter.org/market or call (505) 455-5041.